Dubai, UAE; 7 January 2019: Drinking tap water in the UAE is safe and healthy, as long as water tanks are cleaned regularly and maintained properly. That is the emphatic message from a newly established company which is dispelling myths about tap water by emphasising that the danger lies in storage tanks, not the water itself. Culligan KMA has been set up to provide a range of cleaning services for water tanks in villas, apartment buildings, hotels and public buildings. The new company has been established by global water treatment experts Culligan, which has a manufacturing facility in Dubai and offices and partners in Bahrain, Kuwait, Qatar and Saudi Arabia, and KMA, their local partners in the UAE. “There's a common misunderstanding about tap water in the UAE, but the reality is that it is safe and healthy to drink if the storage tank it comes from is properly maintained,” said Marco Seghi, Service Director of Culligan Middle East. “We have created this new business to deliver on our assurance to keep the quality of water people have access to as clean as possible. Culligan KMA will call on water treatment industry experts with decades of experience to deliver effective solutions and advice on maintaining water tank cleanliness. 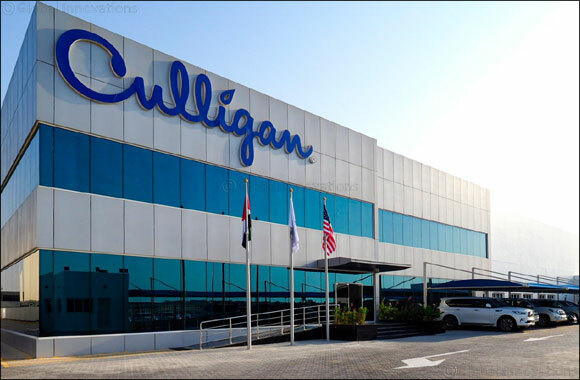 Providing complete water solutions for homes, hospitals, offices, restaurants and industrial plants, Culligan Middle East believes the new company will actively encourage more UAE residents to drink tap water. Culligan KMA is currently working with some of the region's top facilities management companies to offer a range of testing and consulting services, including water sampling and testing for legionella and other biological factors. Full laboratory reports are provided before and after tank cleaning, as well as a certificate of sanitisation. Joyalukkas announces ‘Gold Fortune' on the exclusive occasion of Akshaya Tritiya. Site Designed and Hosted by Global Innovations, Dubai, © 1996-2017, Global Innovations Best Viewed with 1024x768 screen resolution.